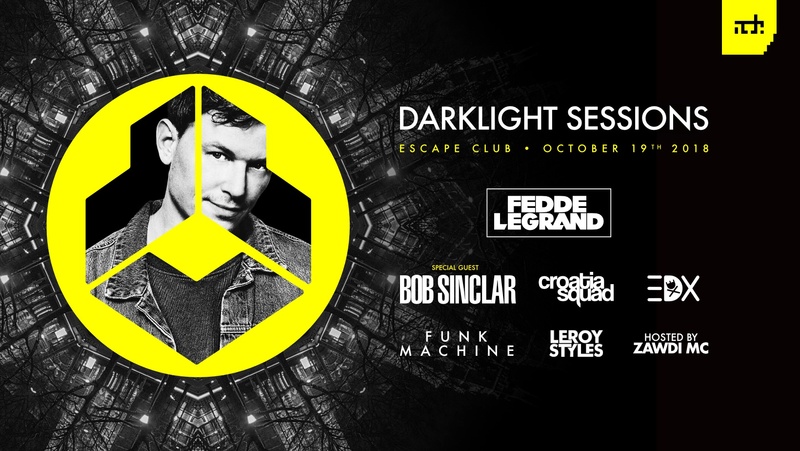 On October 19th Darklight Sessions by Fedde Le Grand will make its emphatic return to Amsterdam Dance Event. Inviting a selection of world-class DJs to share the decks with him, Fedde Le Grand is proud to announce he’ll be joined by none other than Bob Sinclar, Croatia Squad, EDX, Funk Machine and Leroy Styles. Returning to the heart of the city at Escape Amsterdam, Darklight Sessions 2018 promises a night full of cutting-edge dance music and unparalleled production.